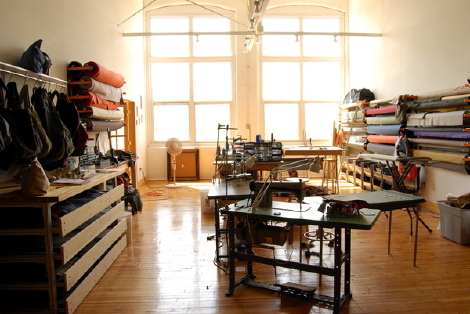 Moop makes handsome handmade bags here in the US, and works out of a cool converted mill building. Apparently this is a live/work situation with the living quarters in the adjacent lofty space. 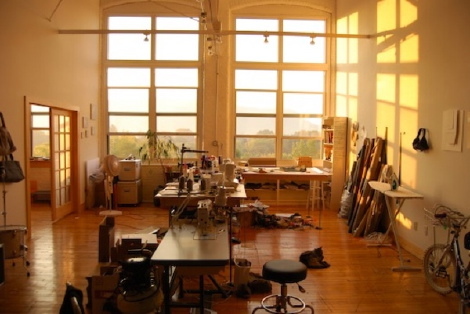 Not an office, but still a very cool workplace. The top image is 07, and the bottom 08. Note how they've grown into the space and are using the walls for storage.